You already know that your social media profiles are important because they’re your best chance of making a good first impression. What you may not know, however, is that they can help you get found. In other words, they are searchable. So how do you optimize your social media bios to ensure that they help you get visibility when someone searches for you or your company? Choose your words carefully: Like standard SEO, social media bio optimization requires that you choose keywords that sum up your brand. You don’t want to overdo it, but you do want to make sure that you use keywords that will help you attract the kind of customers you want. Often you are limited in characters, so, be clear, concise and strategic in your copy. Be consistent across sites: While some people use a variety of platforms, you may only get one shot to get your message out. Be sure that the information you provide tells a consistent story about your brand and broadcasts the same message no matter what platform your customers use to find you. Use what you’ve got: Each social media platform has unique requirements and limitations as far as the length of your profile goes. You want to make the most of all the space you have. Twitter, for example, gives you 160 characters including spaces. That’s not much room, but it does give you enough space for a pithy description. A little humor might not hurt either. The important thing is that people can find you and that you leave a good impression. Use links where appropriate: Where you can, link to your website and other profiles. You want to make it easy on your audience to see whatever is essential all in one place if you can. Put your best face forward: In addition to links and keywords, your bio should showcase your best content, media, and other information that will help to build your authority. The point of optimizing your social media bios is so that people can find you and to make it easier for them to learn about you. Keep in mind that finding the right keywords and preparing a summary that shows you in the best possible light can be tricky. If you want to ensure that you are hitting the mark, consider getting expert assistance. The prepackaged services offered by the Social Media Advisor can help you build your social media and revamp your profile to guarantee that you get found. #BioOptimization – How Searchable Are Social Media Profiles? When you think about doing an online search the first tool that comes to mind is probably Google. There’s a good reason for that. Google remains the most significant player in the search engine market, and it has a lot of power. However, for all its dominance, Google isn’t the only player out there. Bing, Yahoo, Ask, and some smaller engines all do their part. Moreover, while some other important platforms may not come to mind, they shouldn’t be ignored. Facebook, Twitter, Instagram, and other social media platforms are all important elements when it comes to search. There are lots of statistics to back up the claim that social media platforms can be classified as search engines. When people are looking for information on companies or trying to make a buying decision, social media networks are often the first place they turn. In 2010, for example, Twitter had 19 billion search queries a month, Facebook 1 billion, and YouTube 2.7 billion. Those are big numbers by any measure. So it’s fair to say that social media plays a significant role in terms of search. What that means for social media managers is that you need to pay a lot of attention to what you are posting in terms of overall SEO. You must also know the mechanics of each social media platform so that you show up in their search results. So, if you don’t already have enough to do, optimizing your social media profiles for search needs to be high on the top of your list. One good way to see how well your profile is working is to search for yourself. The goal is to see what your potential customers see when they find you. Here are some key questions you should ask yourself? Is your profile consistent across platforms? Is all the information presented up-to-date? Do you have engaging visuals? Is the purpose of the profile clear? Are you using appropriate keywords in a way that makes sense? Does the most important information stand out? Do you monitor what is posted regularly? Even if you have done all the right things when it comes to creating and optimizing your social media profiles, nothing beats having an outside expert take a look and tell you what they see. Even better, why not consider outsourcing your social media. What could be better than having SEO friendly profiles that are maintained and managed consistently? You owe it to yourself to see what the Social Media Advisor offers when it comes to managing your social media. Their top-notch social media revamp and management packages will help you go back to what you do best, managing your business. If you use social media, then you know that the first commandment is “Thou Shalt Keep Your Content Up-To-Date.” Your followers will stop checking in if they see the same thing over and over again. Though you’re working hard to keep your feeds fresh and appealing, you might be overlooking these important elements of your social media channels: your bios and profiles. If you have a social media strategy (of course you do!) is optimizing and updating your social media bios and profiles on the list? If not, add them to the top of the list. This to-do is easy to forget, and it’s even easier to underestimate how important it is. What do your followers see when they look at your profile photo? Do they see what you look like right now? If not then it’s a good bet that some of your information may be out of date. 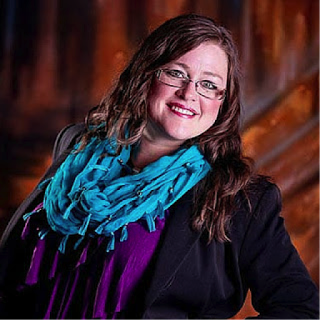 Your picture should present a fresh look at your smiling face, and your profile information should be current. Even though you may think the photo looks fine if your hairstyle and fashion sense are dated then your community may interpret that as a lack of interest. Remember, your profile photo usually has a prominent position so you can use it strategically as well. It doesn’t always have to be a picture of you or your logo. It can be a new product, a special announcement, or something else you are calling attention to. Links must work, and the description of your business should accurately represent what you are doing right now. You may not have given it much thought, but your social media profile is important to your SEO. Your profile should include the keywords and terms that are crucial to people finding you. What you say should be consistent across platforms, be carefully crafted, and be engaging. Long-tail keywords are particularly important so that your customers can find you. Each social media platform is viewed a little differently so it can pay to do a little homework on what works best for each. Algorithms have become particularly important in recent years so if you haven’t updated your business description in some time you may not be making the most of it in SEO terms. It’s true that you don’t need to update your profile as frequently as you do your content but your profile should not be neglected. Twice a year may be often enough to freshen things up. The specific schedule will depend on what is happening in your business and your industry. 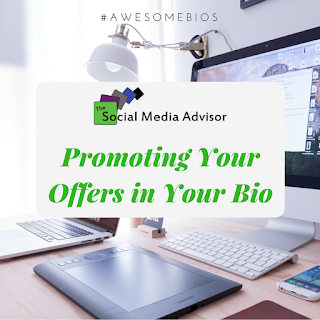 In any case, now is a great time to take a fresh look at both your bios and your profiles. When we first talked about building your #AwesomeBio, we mentioned that it was necessary to include a Call To Action. If you have an offer for your potential clients and customers, you have a call to action ready to go. Bios are the profile sections on main social media pages. You recognize them as the About Us areas. Each social media platform functions as a powerful internal search engine. Therefore, fully fleshed out bios that are loaded with the right keywords are how people will find you. We talked at length about marketing on different social media platforms to gain a return on investment here. This offer that you provide is something called a lead magnet. It’s a way to turn social media browsers into potentially loyal customers. When you promote your offer, stay away from clickbait titles. A person wants to know exactly what they’ll receive for clicking your action link. Don’t make them doubt your credibility as an honest business. Put only one offer in your bio. It’s a great idea to build a social media campaign for particular offers. Keeping the same one may grow stale, and your current customers want in on the action, too. A long term customer or client is worth its weight in gold. As a matter of fact, 80% of your company’s future revenue will likely come from 20% of your existing customers. Lee Resources Inc., a trusted consulting firm, conducted research about customer retention. They found that attracting new customers will cost your company five times more than keeping existing ones. Your offer should involve scarcity. Scarcity is a time limited option that triggers the urge to buy or take on the offer. Without this, it’s too easy for a potential client to wander away from your site. Even with the best intentions, there is no guarantee that they will remember to return and take you up on your offer. Use short links for character-limiting platforms. Keep the promotion valid and up-to-date. Make the offer limited time to induce the urge to buy. Make sure the link goes directly to the sale, signup, etc. that you’re promoting. Otherwise, it feels like a scam. Create unique offers, bonuses, etc. unique to the platform you’re using. Consider it insider perks that make people more likely to follow you on their preferred platform. Experiment to find out which perks work best on which platforms. You may be surprised! Track your results so you can gain a deeper understanding of your customer base. Your bio (with the offer you provide within it) becomes a first impression technique for anyone who doesn’t know or understand what you do. Take the time to develop one that’s right for you, while keeping it specific to your social media platform, and you’ll gain a loyal following of enthusiastic customers and clients.